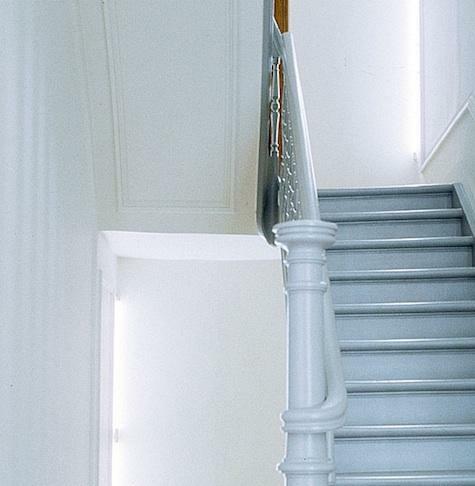 I love the theme photo collections remodelista does (I mean, I love everything they do). 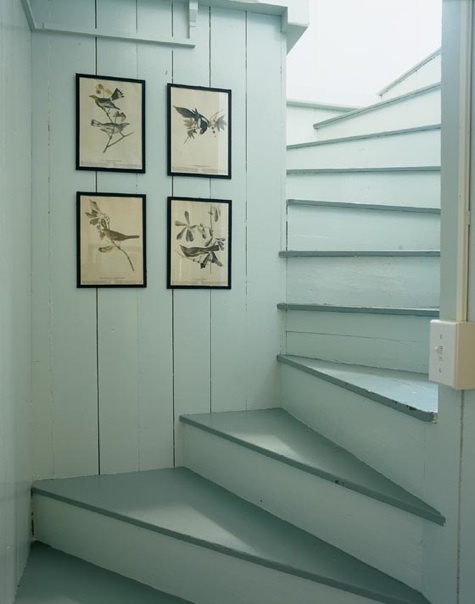 Having been in Jamestown, Rhode Island, Boston, Nantucket, and Boothbay Harbor Maine within the last month, this collection especially pulled at my heartstrings. 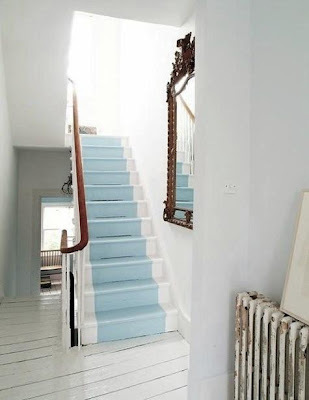 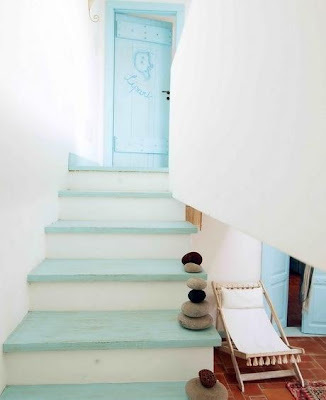 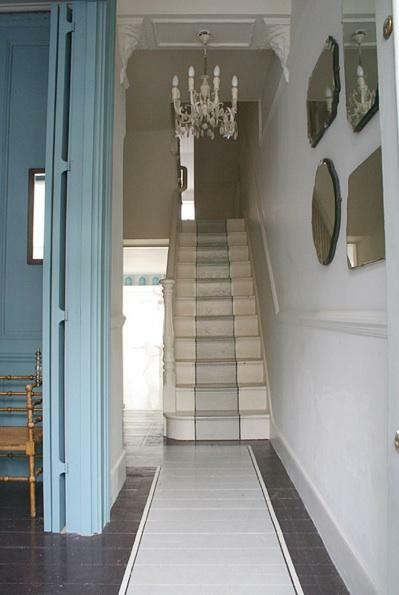 I love this look of the cool blue and white on stairs. Looking at these makes me feel like I'm in an old creaky shingled house, weathered by salt air with old screen doors, and furniture with floral prints from the sixties. For now, I have no stairs, but I'm definitely tucking this idea in my back pocket for later in life. Thanks Remodelista !